Grand Central Publishing, 9780446617895, 352pp. 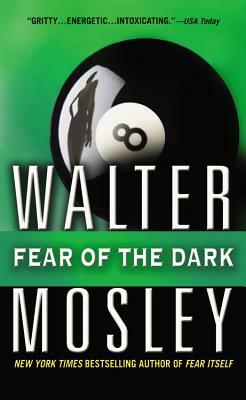 Walter Mosley is the author of the acclaimed Easy Rawlins series of mysteries including national bestseller CINNAMON KISS, LITTLE SCARLET, BAD BOY BRAWLY BROWN, the Fearless Jones series including FEARLESS JONES and FEAR ITSELF, the novels BLUE LIGHT and RL'S DREAM, and two collections of stories featuring Socrates Fortlow, ALWAYS OUTNUMBERED, ALWAYS OUTGUNNED, for which he received the Anisfield-Wolf Award, and WALKIN' THE DOG. He was born in Los Angeles and lives in New York.